I’ve never been one to bother too much with my hair, in fact when getting ready for a night out it’s usually the thing that I often fret over a bit, give up and attack quickly with the GHD’s. Usually for me, a blow dry is something that consists of a quick blast with a hair dryer when I finish at the gym so I don’t turn into Elsa from Frozen on the way home. So when Duck & Dry invited me in to try out the newest branch of their boutique updo and blow dry bar I was pretty excited! 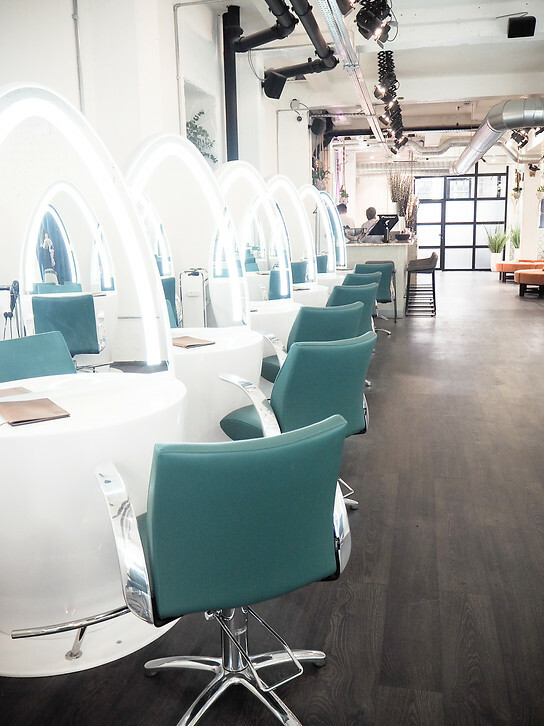 The goal behind Duck & Dry is to make professionally styled hair the thing of an every day beauty routine. 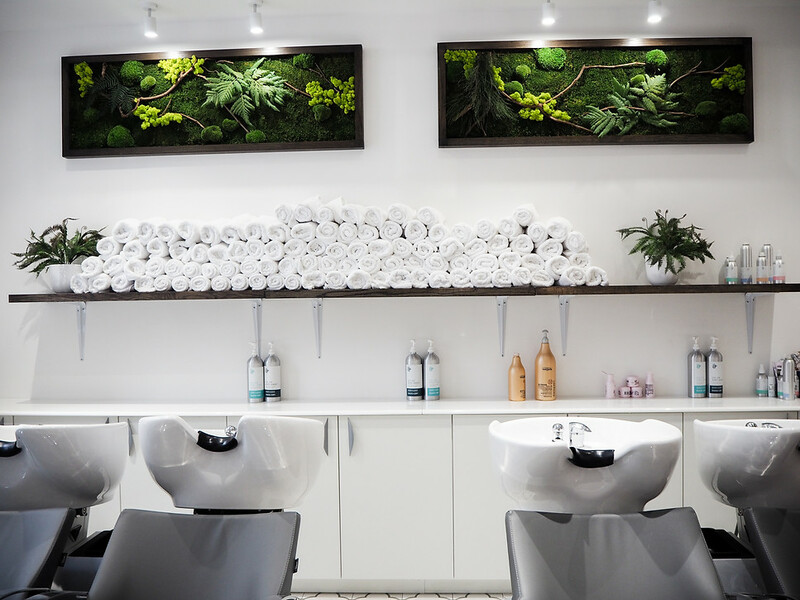 It’s true that when you look fabulous, you feel it too, and Duck & Dry pull out all the stops to ensure that their salons are stylish and buzzing with positive energy; the new West End location is overflowing with vibrant greenery and even features a gorgeous exposed-brickwork prosecco bar! I enter the salon, which is situated conveniently just off of Oxford Circus, and am met by a friendly receptionist who takes my coat and offers me tea. 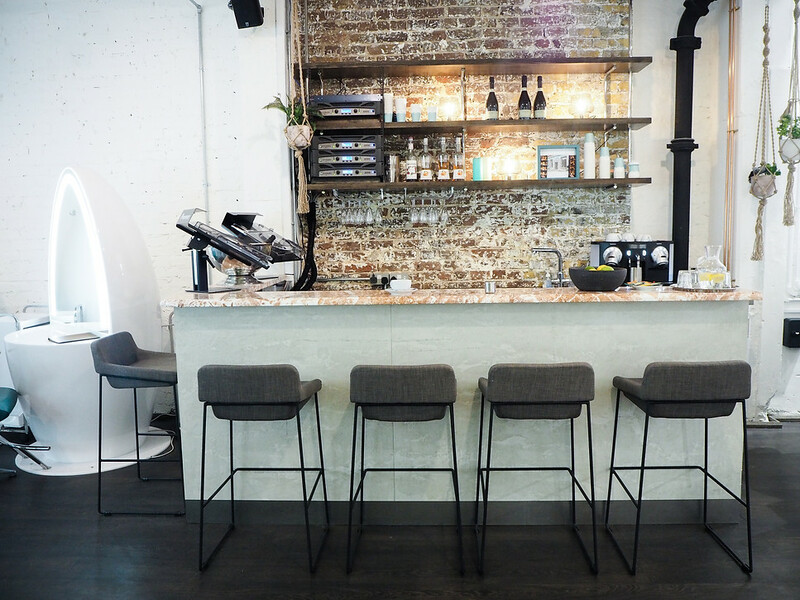 Immediately I am struck by the trendy interior; the large open plan space on the first floor has an almost warehouse like feel to it with on–trend exposed brickwork and piping. The hair washing station features gives me extreme tile–envy, and after gazing lustfully at the flower–adorned wooden swing chair my eyes dart to the egg shaped styling pods (which feature the best selfie lighting maybe ever FYI). I am introduced to Lucas who will be transforming my hurried top knot into something fabulous. 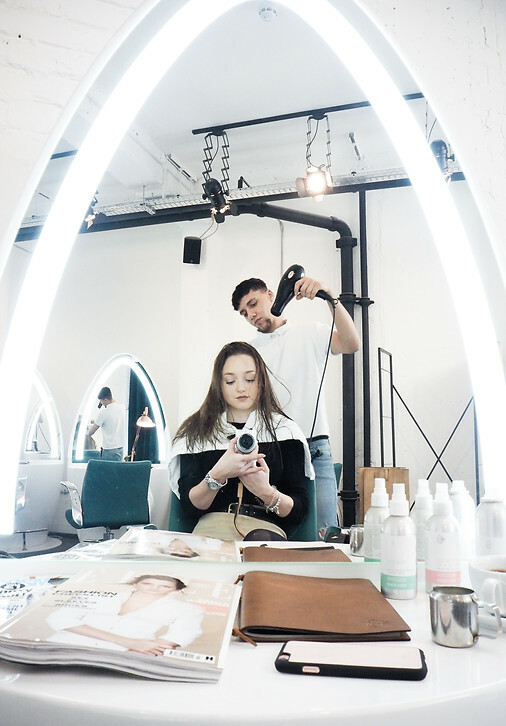 I am instantly charmed by his easy going nature and obvious confidence with all things hair related; we chat away about my colouring dilemmas and I explain that my hair never holds a style. He recommends some products to me that may help with my various predicaments, and I am incredibly impressed that he does not just try to sell me Duck & Dry branded goods – in fact he even explains why their shampoo probably would not be suitable for my hair. It becomes apparent very quickly that at Duck & Dry the goal is genuinely to look after you and make you love your locks; there isn’t a sale spiel in sight and I am grateful for it. I browse through their style menu and settle on the ‘low tide waves’ for an easy-going Wednesday afternoon look, then we head over to the washing station and I get to gaze at those gorgeous tiles whilst Lucas freshens up my hair. The shampoos and conditioners not only smell delicious but are also high quality, I can tell this because my hair likes to throw a tantrum at cheap shampoo. The only thing I am ever so slightly disappointed by is the lack of head massage, which would have been the finishing touch to the service. The whole atmosphere at the salon is incredibly relaxed and friendly and even after my appointment is finished I enjoy another tea and then a cappuccino at the bar. 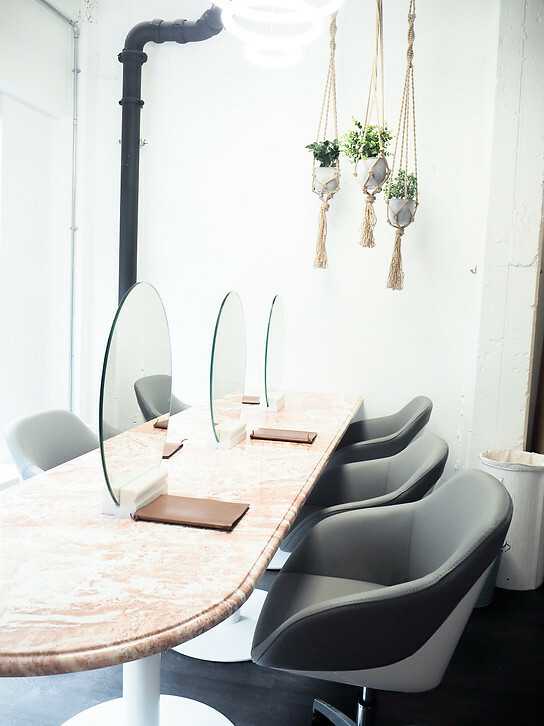 These guys are certainly one to watch and I’m very excited by their plans to introduce more services to the salon such as nails and make up making it the perfect place to prepare for an event or a special night out. They offer undo’s as well as blow drys and I spy a gorgeous braided look that I am desperate to try! Services received with compliments of Duck & Dry. All views and imagery my own.